Words have power. They are power. Words are light. Life. Freedom… and slavery. The power of words can build you up or tear you down. The pen is mightier than the sword? No. Speech is mightier than all. 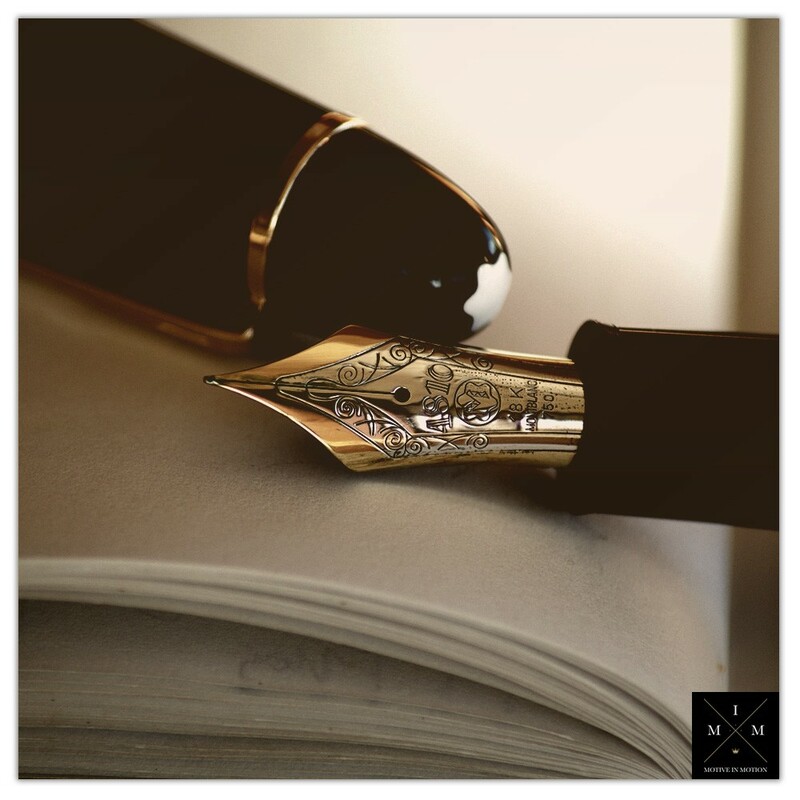 The pen just inks spoken words, transforming them to permanence. And what are words, but written speech? The blood dripping off this mighty sword is black ink. And black blood can do more for a nation, government, community or culture than 100,000 swords dripping red blood. See, my friend, words have power to do anything and everything we allow them to. Since our emergence from the primordial ooze, we learned to communicate with one another. This communication might’ve been verbal prior, but was only translated about 6,000 years ago into actual words. Meaning and association became conjoined through respective local dialects. From tribal packs to cities and kingdoms, the spoken word has been the constructive nail and hammer. Through Sanskrit and Sumerian, words were first created and then used to control subjects since the dawn of power. Since the times of hierarchical, nonverbal structure, power control has shifted to the medium of words. Words have the power to control because they’re frames of spoken reality. When we say something, it always reveals our innermost thoughts and focus. When we formulate and choose something to convey, we’re loading it up with our own biases, our own prejudices, our worldview. We can never expect someone to understand what we said in the exact, precise way we meant it. This is because we’ve got mismatched dictionaries. My entries for the words: assortment, co-ordinated, teamwork, or truth will never ring up the same exact meanings in your dictionary. Do you believe words are the crux of reality? If not, what else would you base the explanation of reality on? Images, feeling, perception, or something different entirely? Why? Because they were spoken and believed in; simple as that. That’s all that’s needed to cement them to an experienced reality: expectation and belief. In this instance, the power of spoken words cements this person’s life with reinforced grooves. But it’s still one person! They’ve got the same situation in life, looking at it from two different perspectives. But the second perspective will lead to a wildly different future outcome in life. Think about the last few words you’ve allowed to flow freely through your mind or mouth. Which words were empowering, and which were enslaving? Or did you even understand what I just said? How many times have you willed yourself into less than desirable situations, by saying you “had to” do them? I’ll bet thousands. People keep themselves in their own boxes, because their oppressors were kept in their own boxes. Many who’ve consciously leveraged word and thought for millennia are long gone. There are still the few who consciously disseminate controlling ideas, but usually originality has passed. What I mean is that the people who originally wanted to control with words recognized their innate ability as creators. It was in a negative, dominating sense, but they still leveraged this power. Today we still have this on a very secluded scale. But what we have more of is rote repetition. We have drones. Their inventors have usually long since passed. We’ve got teachers, churches, cults, societal pressures, and culture that all repeat enslaving ideas and words. The oppressed have even come to love their oppressors! They’ve simply learned and repeated what they had instilled upon them for so long. They’ve come to love their limits, and fight for them. And what’s that saying? Whatever words you choose to frame your reality with is the reality you actually experience. The first statement from earlier, though true at the time, does not need to be true, and therein lies the difference. The reason is that the present moment is simply what you’ve created for yourself with your past thinking. Here’s a massive insight for you, that took me years to cement. The Present Moment Is Just the Manifested Past! I will say that again. The present moment is only the manifested past. This means the present results of your health, your bank account, your relationships, your body, and your habits, are all simply manifestations of your past thinking and actions. You can change them anytime you want. How did you create your present reality? By thinking, believing, acting, feeling, and envisioning in certain ways. Or, more likely, by unconsciously accepting others’ ideas and not knowing to reject the harmful ones. So how do you correct course and blast into a different reality? You change your images, thoughts, and feelings. The way you phrase anything can put you on the fast track to anything you want. Just as easily, it can put a chasm miles-wide between you and your deepest desires. With a subtle shift in words, your deepest dreams become either outlandish fairy tales, or potential realities in the not-so-distant future. Again, the power of words can get you anything, or keep you from anything. What you perceive you believe. What you believe, you will perceive. Therefore, if an appearance is radically convincing, you will actually believe that is the truth. You’ll accept it, inherit it, and even pass it down if you’re unconscious about it. The key is the lock. 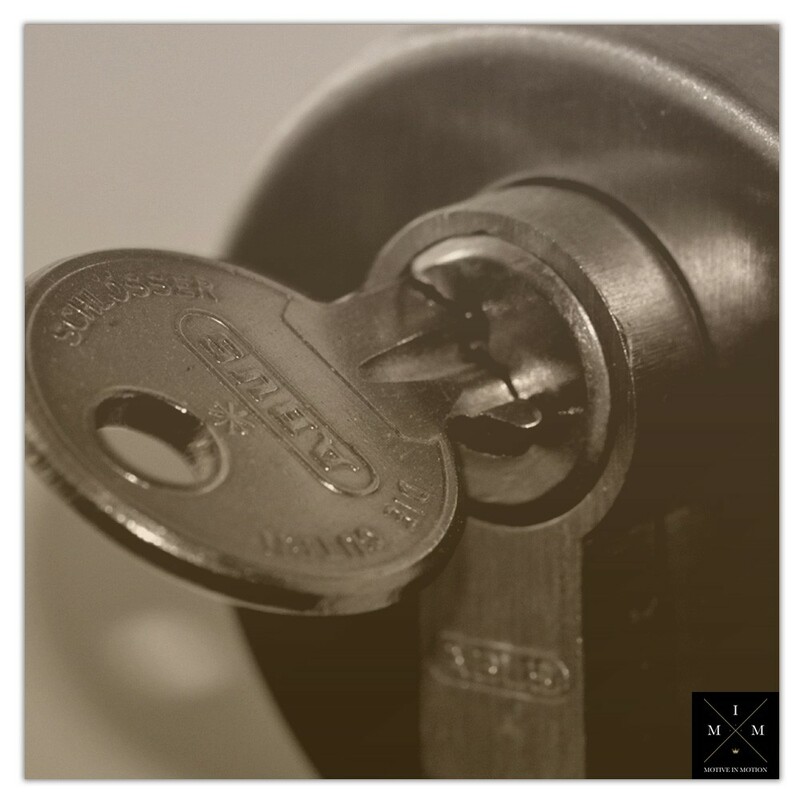 The double-edged sword is that you must apply the key to your freedom, to reverse the lock that enslaved you in the first place. A few days ago, I was on the light rail in a city in Asia, with over seven million inhabitants. This city has trains and buses criss-crossing the entire grid. The infrastructure will get you from anywhere you are to anywhere you need to be within the metro area. Therefore, this is the easiest, cheapest means of transportation for the mass of men and women here. So I hop on the ride, and I’m feeling light. Buzzing, happy, excited for my work and future. I just as quickly recognize the frowns and bored-to-tears faces of the majority. People are sad and conflicted. Day-to-day life has sapped the soul right from their bodies. Feeling the heavy energy on this particular day, I recognize how many people simply feel they have to live this way, to feed families and just scrape by. As if life were just something to be desperately trudged through in order to get to the next day. What’s even sadder is that children never seem to have this disposition; they see life as an adventurous ride! But while growing up, words, actions, and thoughts (mental words) influence them to a lower existence. While boarding this light rail, I’m faced with the fact that out of 30 people, you find 30 different world views. 30 different points of view about god, truth, life, and reality. This is reflected upon the seven million, and the 30+ million in this country, of course. Add to that the other six billion on the earth, and you get a pretty diverse place with countless potential angles. My focused assessment is mainly on these diverse world views and perspectives. People have always been influenced by words and thoughts, and those of whom they follow. Thoughts are just the mental words and images upon the mind, and usually they’re also repetitive. I had a thought that if I were to share my perspective with this small subset of people, they might get confused. Most people in our world don’t know that you can feel any way you want, or even why you’d want to! They don’t face it because their viscous beliefs in the world reality are so engulfed with their past, their failures, struggles, or whatever else is haunting them. They don’t see that they could control their state if they controlled their mind. Hardly anybody recognizes that you can actually pick any state you want to experience, and hop up to that level of consciousness. It first takes awareness, the initial un-peeling of possibility. Then form follows function. Think how a conversation might go down between me or any other mentally free individual, and someone on this ride. Gotta eat and feed my family. I don’t know, what do you mean? (Interject here all the limits, beliefs, reasons or excuses that keep people stuck). And on and on, trying to connect the dots back to something that might be fulfilling. But since most people live in the reality they’re caught up in, that’s a joke. A wish, at best! They’re born at 0, die at 18-25, and aren’t really buried until 70, 80 or older. They are living the same day over and over and over until they’re dead, without really experiencing life. I’ve been all over the world and experienced this with the median majority of all types of people. It’s mainly because of the words they’ve been force-fed and have accepted. The power of our words brings protection in many ways. I find it strangely interesting that our cultures are founded upon this bedrock of words. We can say the right things in the right documents and be protected from being sued. We can also protect ourselves from liability. In most Western countries, we have a sometimes unspoken, or a written code that binds two or more to a business agreement. It works for marriage as well, and is respected (ideally) in the event of a divorce. A prenuptial agreement will be created prior to the split. Upon execution, it can be expected to be honored with relative accuracy. When people break laws, words (written thoughts) tend to be respected. (Laws are are just written expectations). I might say agreements, but you don’t choose your country’s laws. Then, the “authorities” carry out punitive measures, based upon these expectations. Just saying the right words in the U.S. of A (referencing the Constitution) can keep you from interrogation, searches, or privacy-violation. An intriguing display of power these words hold, is it not? Imagine how many times a wisely organized string of words has protected the wrongly accused? Innocent or framed perpetrators are often freed by the power of spoken words, due to their evidence presented. These sounds are more than muttered blurbs coming from our face. The power of our words is one that reflects our not-so-hidden internal dialogue. It reflects our innermost thoughts, and inevitably reveals our inner workings. As far as permission goes, by arranging words correctly, kids can get whatever they want from their parents. They can ask for and receive favors, toys, allowance, and more. When you were a child, you asked wantonly and expected fervently. Dare I say expectantly, because children know their natural state on this planet is abundance, not lack. They haven’t yet unlearned that universal truth. And if you minded your P’s and Q’s, usually you got what you wanted with your words. So why has this demand for what’s rightfully ours, and expectation or faith in what we want diminished? Words are gold. Words are god. Results in straight up sales and bank deposits. Once you know who you’re talking to and targeting, you can make magic happen. If you know the person’s deepest insecurities and pain, draw them out for display, and then provide the solution? You make a bond for life, and keep loyal customers. Persuasion goes much further than just sales or one-time transactions such as these, though. Persuasion is life. I repeat, persuasion is life. You’re always selling yourself, your ideas, or your brand/company, so you might as well get good at it. You success or failure in business ventures comes down to the ability you have to change minds and mold beliefs. It comes down to your words and their frames. Similar to the example from earlier, two outcomes can seem similar, real, and malleable. With a few words and a perspective shift, you can change your tangible life. If I’ve said it once, I’ve said it a million times. Your mindset paints your reality. I tell you the truth, anyone who believes in me will do the same works I have done, and even greater works, because I am going to be with the Father. This means you’re the responsible entity to answer to. It’s you. The universe is inside you, and vice versa. You can use your creative power to do all the good you choose. Anything you create in your mind can be held inside the palm of your hand. If you’re looking around for somebody to change your life and revolutionize your mindset, look within. For the kingdom of perfection is in you already. When you project your future from where you stand today, you add whatever limits you currently hold on top. What did I say before? So the first step is to change the mental images on your mind’s screen. Secondly, change the thoughts you entertain daily. Finally, without much manual effort after the first and second steps, your words will change. And shortly after that point? Your new lifestyle will begin to mold and take shape. Then you’ve got to check out what I have in store for you. 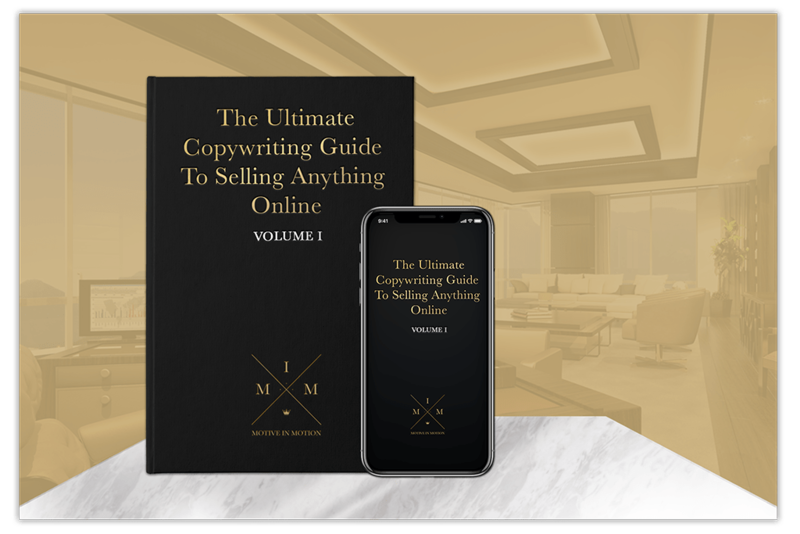 The Ultimate Copywriting Guide to Selling Anything Online has the answers inside its first volume that unlock the mystery of words. Words are a lot like money, in that they can be profitable soldiers in your army. They can work for you while you sleep, bringing in sales. 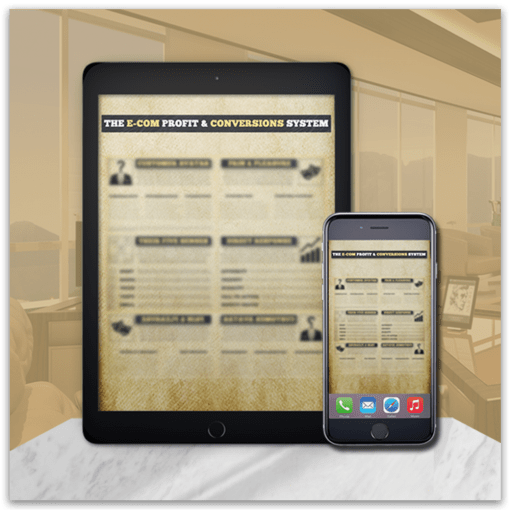 You can profitably employ the right words to dramatically upgrade your lifestyle and future wealth. But only if you know how to leverage them. Since everything from persuasion, sales, love and relationships, to business are all word-founded, it’s your responsibility to catch up and get to the head of the line. Being at a disadvantage here is costing you your future. Jumping up to a leadership position of words and people is the only way you’ll get your point across, get noticed, and be influential (and highly profitable). You’d better get started learning it immediately, even if you don’t learn it from me.